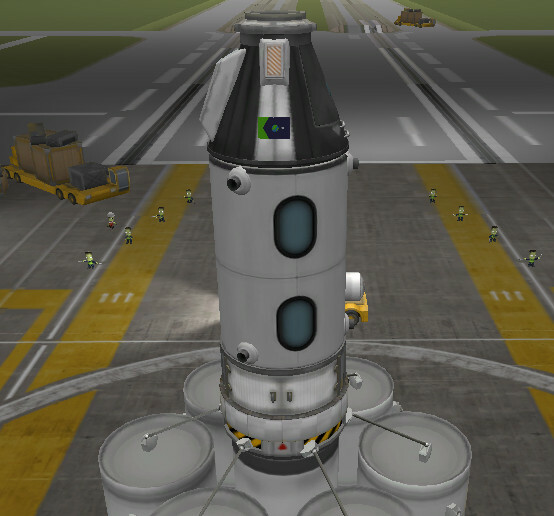 A rescue / return craft for 1 pilot and 2 passengers within Kerbin orbit.¨¨RETROGRADE HOLD ON RE-ENTRY IS MANDATORY! PERISTASIS 35,000M AND UP! KEEP RCS ON DURING RE-ENTRY! A stock rocket called 3T Rescue Bot Bro. Built with 55 of the finest parts, its root part is mk1pod.